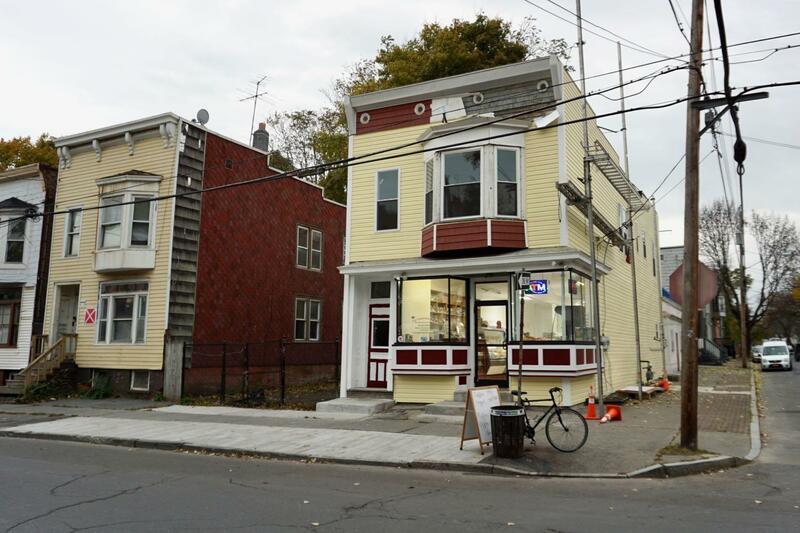 Death Wish Coffee is eyeing a spot on Livingston Ave in Albany for its first cafe. 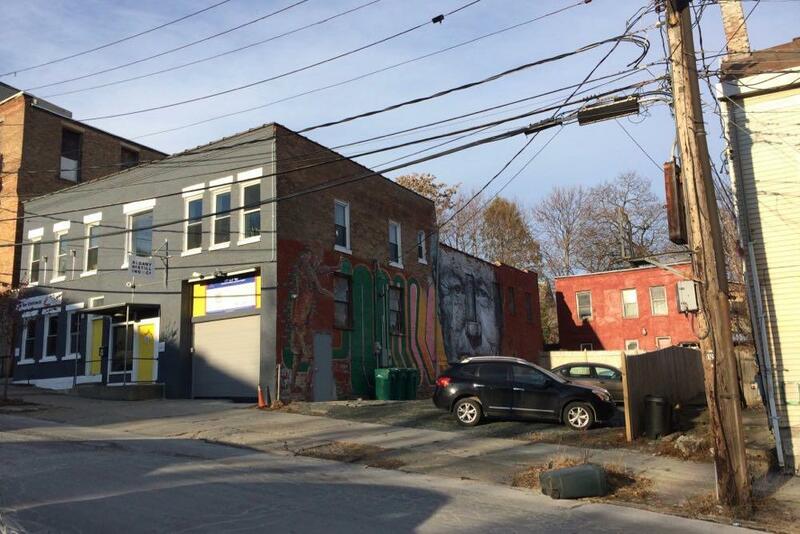 The location -- 71 Livingston -- is currently an empty lot right next to Albany Distilling's bar and bottle shop. The coffee company would build a two-story building that would include a cafe, retail store, and tasting room. "One of our most valued business partners is Albany Distilling, so the opportunity to be right next to them and be down south in Albany is great," said Shannon Sweeney, Death Wish's content manager. 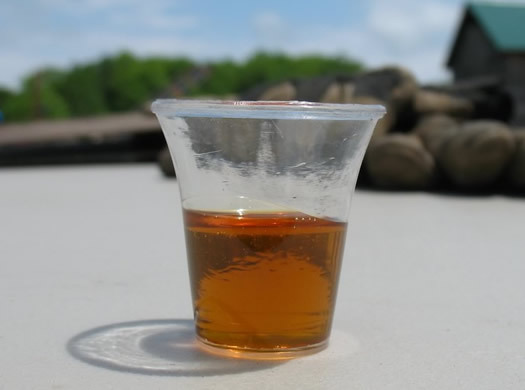 The company currently produces a coffee-flavored vodka with Albany Distilling. 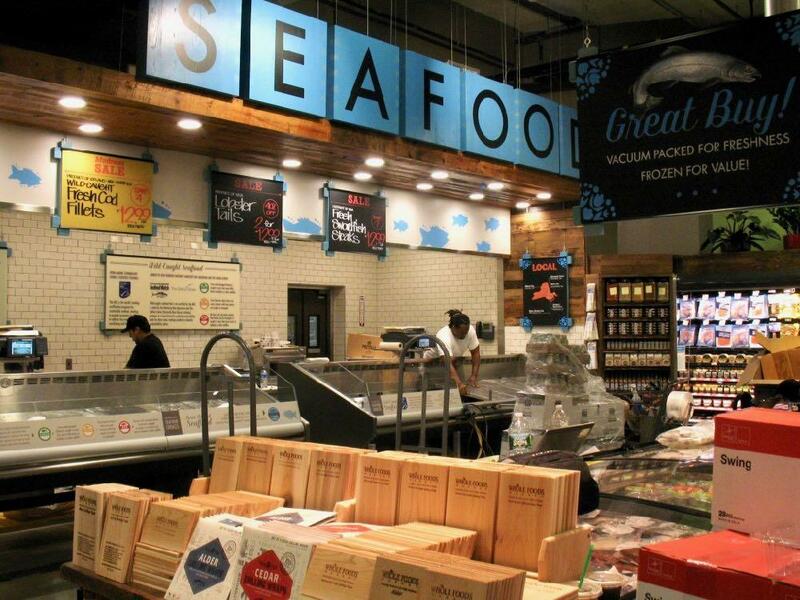 More than one-in-four fish samples from supermarket chains around the state that were collected in a state Attorney General's office investigation tested as a variety of fish different from what they were being marketed as. That's from a report that the Office of the Attorney General (OAG) released Friday titled... "Fishy Business." While mislabeling affected virtually every tested seafood category, there was rampant mislabeling of certain species. The results suggest that consumers who buy lemon sole, red snapper, and grouper are more likely to receive an entirely different fish. Similarly, consumers who bought what was advertised as "wild" salmon often actually received farm-raised salmon instead. Such consumers had often paid more money--on average 34% more--to avoid farm raised fish. The substitutes were typically cheaper, less desirable species than the desired species. Snappers sold as red snapper, for example, tended to sell for half as much when properly labeled as another type of snapper. Some substitutes (e.g., lane snapper), had higher mercury levels or came from less sustainable fisheries than the desired species, raising consumer safety and environmental sustainability issues. Environmental groups and advocacy orgs have been raising this issue going back five years or more. OAG says it believes this is the "first major government investigation in the U.S. to target seafood fraud at retail supermarket chains." The report highlights that a large majority of the samples that tested as mis-labeled were bought at supermarkets downstate. And it provides a listing of all the supermarkets from which samples were purchased. Here in the immediate Capital Region, the investigation included 32 samples from six chains: Fresh Market, Hannaford, Price Chopper/Market 32, Price Rite, and Walmart. None of those samples tested as mis-labeled. And the report singles out Hannaford for following some of the best practices in ensuring that the fish being sold is actually the fish being sold (pdf p. 25). 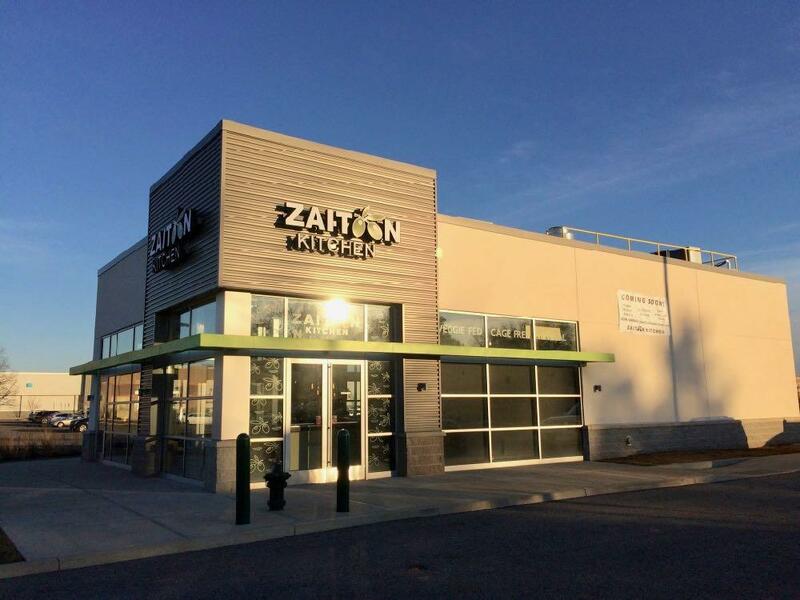 The new Zaitoon Kitchen at Crossgates Commons in Albany opens today. It's in the former Noodles & Co. spot near the McDonald's. This is the second local Zaitoon location -- the first opened near the Latham Circle last year. Its menu includes a lineup of dishes inspired by Afghan and Middle Eastern cuisine: kabobs, kofta, falafel, salads, hummus, naan wraps, and a bunch of interesting small plate/side options. 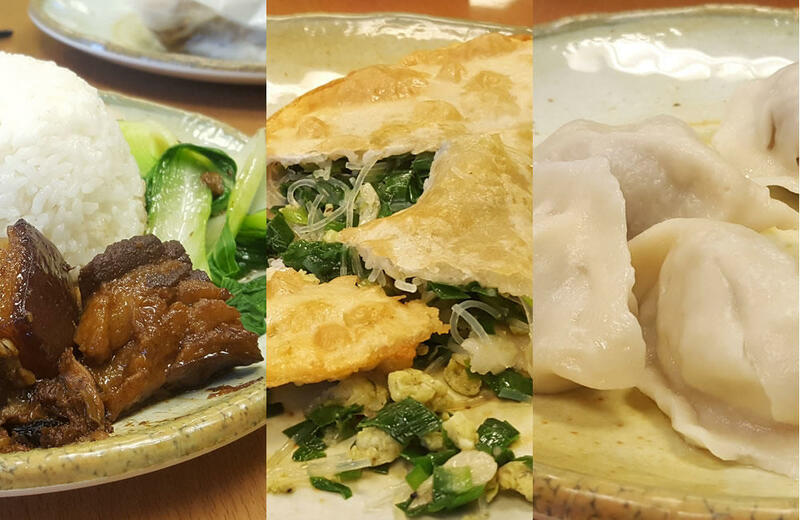 Zaitoon touts its food as "cage-free, veggie-fed, halal." As Deanna suggested last year, it's worth going with a group so you can try a bunch of different things. We've been a handful of times and the food has been good each time. Prices are about what you'd pay at Chipotle or a similar fast-casual place. We popped into the new location Sunday during a soft opening. The new place is bigger than the Latham location, and the design is modern. The hours are Sunday-Thursday 11 am-9 pm, Friday and Saturday 11 am-10 pm. 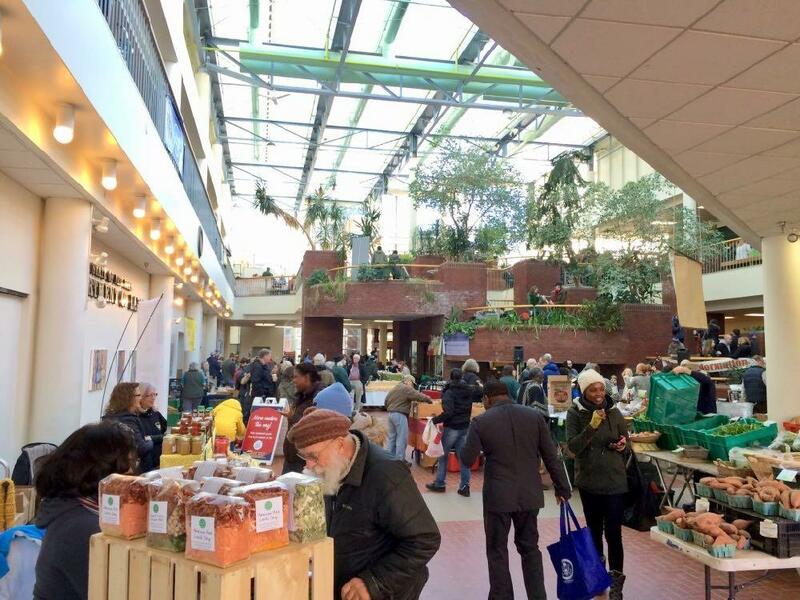 By the way: The market moves indoors to The Atrium for the season this Saturday. The market wants to hear what people feel about the market and how it might evolve. The workshop will also provide the community with a chance to hear about the success stories from public markets across the country. "The community has supported the market in a huge way, which has enabled us to create a first rate marketplace. 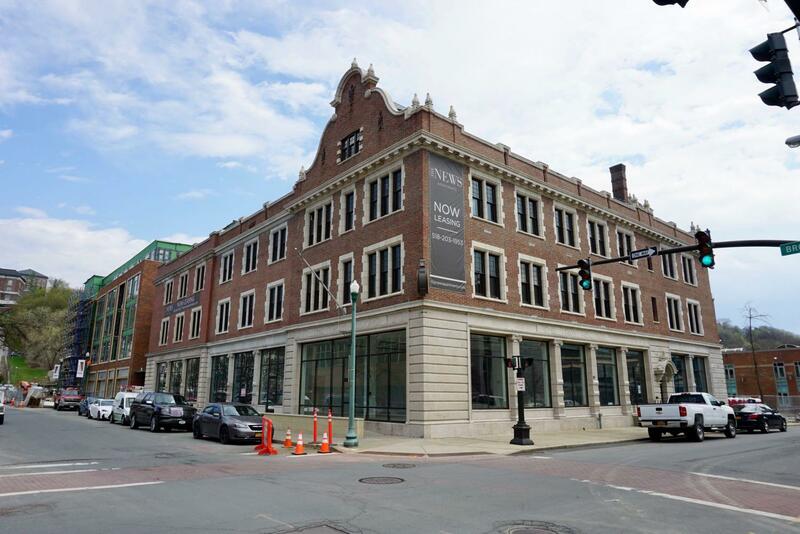 Now it's time for us all to consider creating a first rate Market Hall and discussing what that would look like and how our programs could expand, and what it would mean for the city of Troy and the Capital Region as a whole." You probably remember that a 2014 proposal for the 1 Monument Square redevelopment prominently featured, at one point, a permanent space for the farmers' market. But the idea later washed out of the plan in 2015, and in 2016 the overall plan crashed. The Fresh Neighborhood Market -- a new corner grocery that's aiming to offer healthier options in Albany's West Hill neighborhood -- is now open on Judson Street near Clinton Ave.
Said owner Dileep Rathore when we stopped by this week to talk about the new store: "Come in, enjoy, and I hope I got it. And if I don't, I'll get it for you. I want to be a neighborhood deli." The Vox video embedded above tracks the rise of the branded apples that have been popping up in supermarkets over the last decade or so -- you know, SweeTango, Zestar, Kanzi, even Pink Lady (which is a branded version of an old apple called Cripps Pink). Two of these sorts of new-school apples were developed by Cornell: the SnapDragon and Ruby Frost. These new branded varieties are also known as "club" apples and they're production and marketing is usually licensed by a single entity, which an NPR story looked a few years ago, raises some issues for apple growers. We're lucky to have a bunch of apple orchards in this region. And many of those orchards grow a large variety of apples, both old-school varieties and some of the newer varieties. 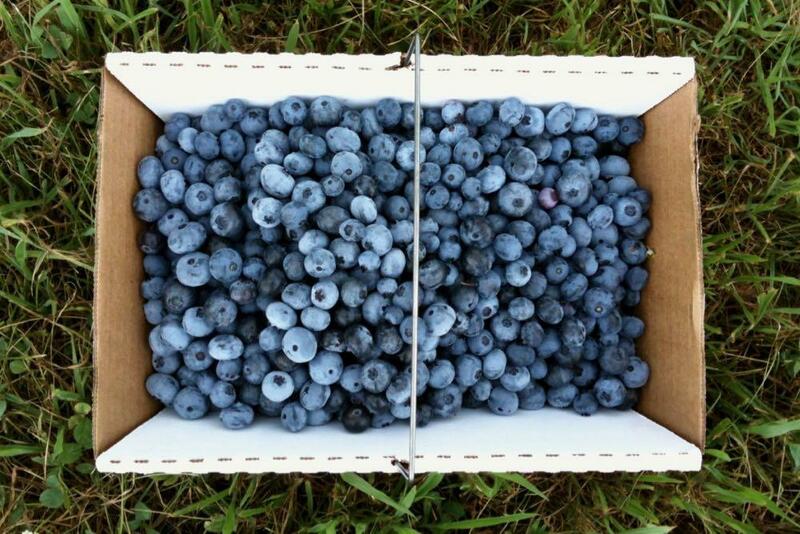 Examples: Bowman in Rexford grows almost 50 different varieties and Samascott in Kinderhook grows something like 80 varieties (we've seen the spreadsheet). So it's worth stopping by these orchards and asking for something different or unusual. 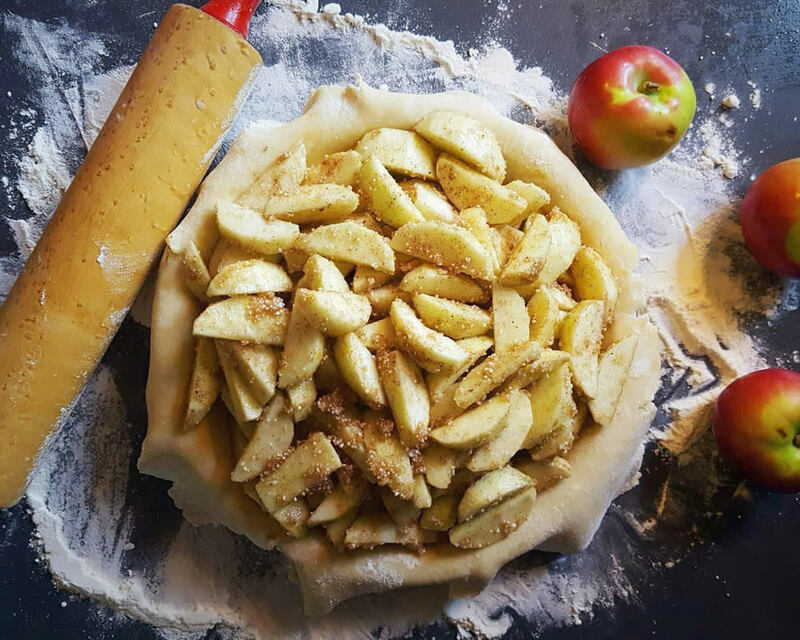 Not all of the old or unusual apples are great, but some of them are interesting and you might find a new favorite. This is our annual reminder that Honeycrisp are overrated. Get yourself an apple like one of those SnapDragons from Cornell -- still has the crunchy texture, but it actually tastes like something more than water. 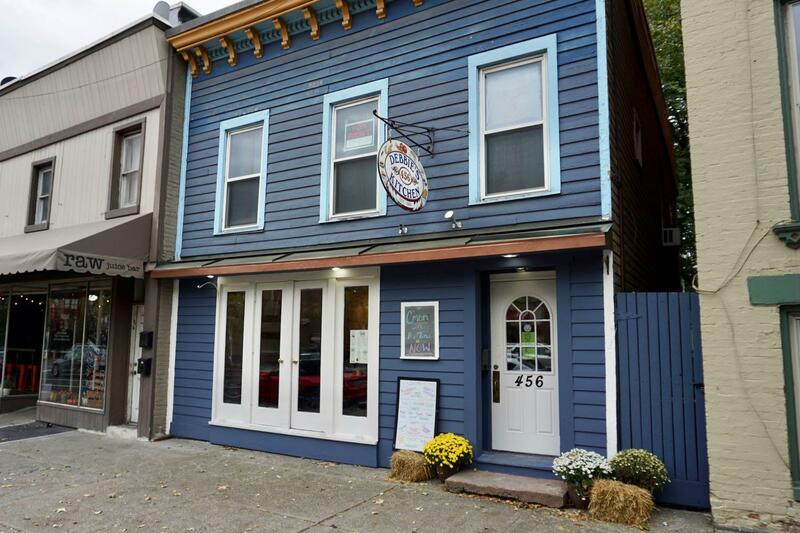 Debbie Klauber announced back in August that she was working toward re-opening the longtime local favorite at its old spot, 456 Madison Avenue near Lark Street in Albany. 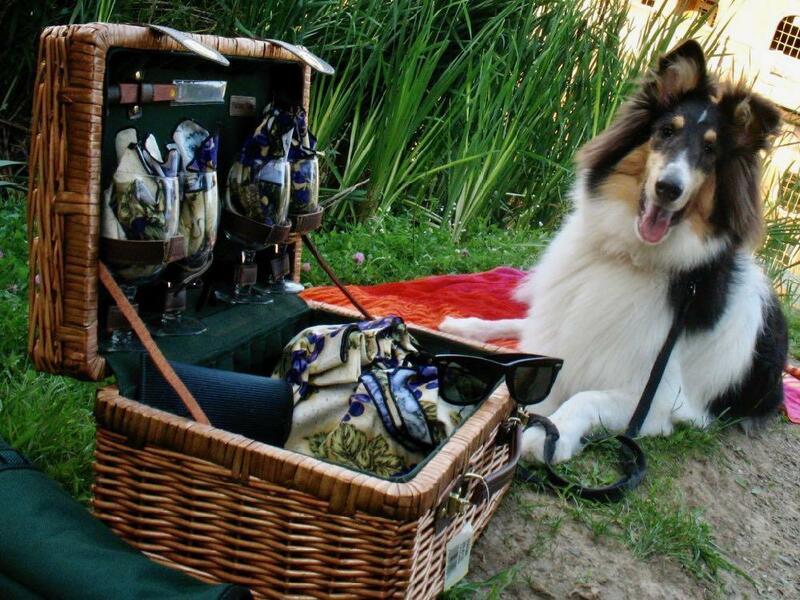 She had sold the business back in 2010 to travel and try new things. She spent time in Belize. She did some catering. She worked summers at Siro's in Saratoga. And Monday morning she was welcoming people back in to the shop. The board game cafe Bard & Baker is now officially open in Troy. It's in the street-level retail space at the corner of Broadway and 5th Ave in The News, the redeveloped old Troy Record building. The cafe has more than 400 games board games that you can play all day for as long as you like for a $5 cover. (You can even leave and come back the same day.) There's also a menu that includes all sorts of beverages (coffee, teas, soda, juice, beer, wine, cocktails), along with sandwiches, snacks, and pastries. 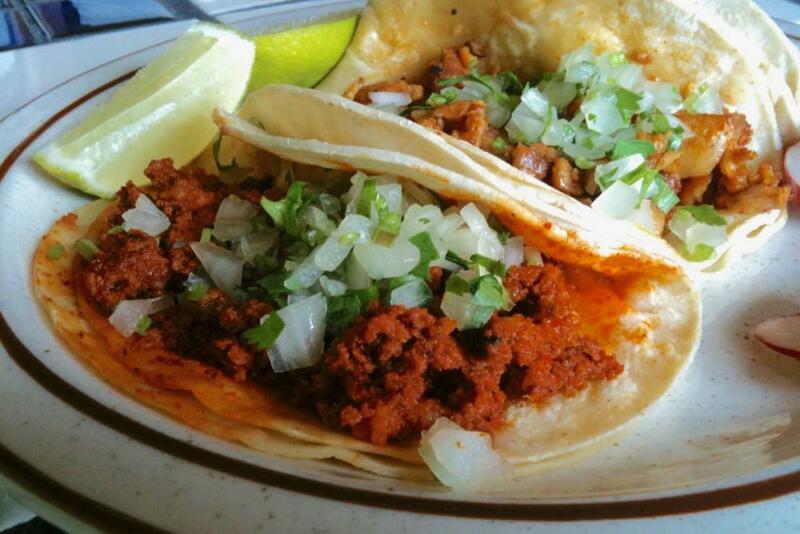 A chorizo taco at La Mexicana. / photo: Daniel B. Do any of your readers know where I can find any of that good chorizo that crumbles when you remove the casing? Price Chopper used to carry some, but I haven't seen it in quite a while. I've been left having to use "hot-dog chorizo," which is nothing like the good oily, crumbly stuff. Please help! As Sean mentions, there are two general types of chorizo: the Spanish or Portuguese style that slices up like a sausage, and the Mexican style that crumbles. The Mexican style is excellent in a taco with potatoes or mixed up with eggs (you can get it like that at Viva Cinco de Mayo in Albany). Got other suggestions for Sean in his search for chorizo? Please share! But fear not! 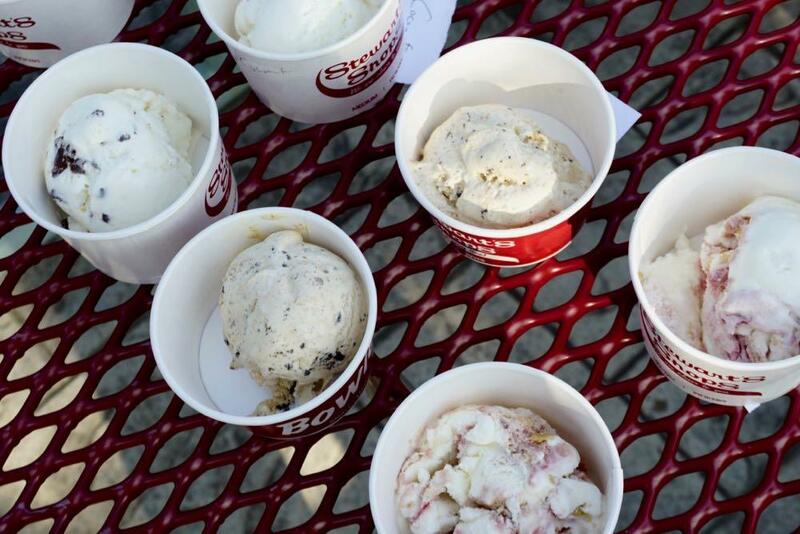 To help guide your end-of-season ice cream eating -- which is serious business -- we recently took on the task of trying each of the limited-time seasonal summer flavors at Stewart's. Then we ranked 'em, so you can make the most of this ice cream prime time. There's wondrous sandwich news in Albany: Debbie's Kitchen is planning to return to its old location on Madison Avenue in Albany -- with Debbie herself at the helm. Debbie, of course, is Debbie Klauber, whose soups, sandwiches, and desserts were Albany famous for 25 years. AOA is on summer break. So we'll have new follow-ups with people we've met and covered during the last year (or so). Kehmally Karl and Jeff McCauley started making ice cream as a side project -- creating fun flavors for family and friends. Slowly and methodically, they've turned a hobby, and an incredible talent for creating inventive flavors, into a successful small business: The Dutch Udder. Flavors found on their ever-changing menu include Nine Pin Cider Sorbet, Grasshopper, Cinnamon Toast Crunch, and Rice Crispy Treat ice cream. At first, they sold ice cream from a cart at markets and festivals and special events. And three years ago the then-fledgling business was also finalist in the AOA Startup Grant contest. Since then, Jeff and Kehmally have opened a storefront on River Street in downtown Troy and they've captured awards for their Philly Vanilla and for their other inventive flavors. 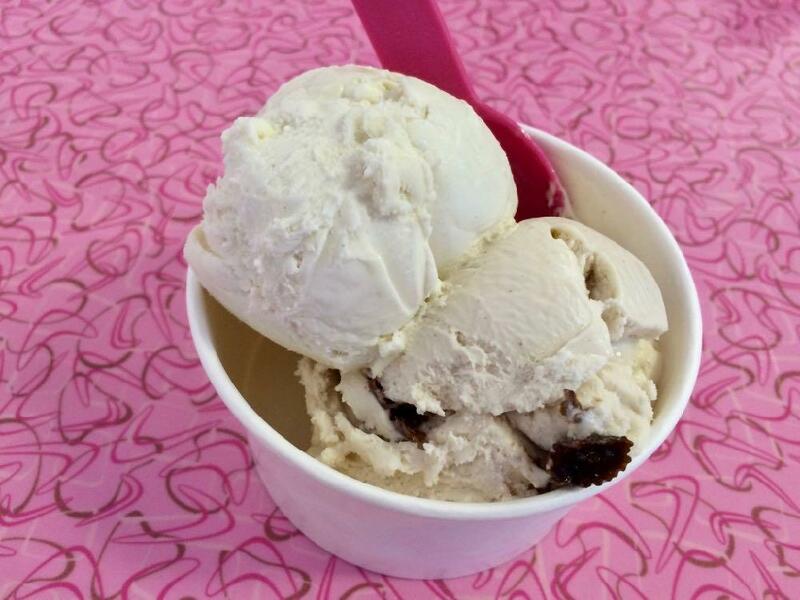 Jeff talked with us about their experience in the ice cream biz so far. 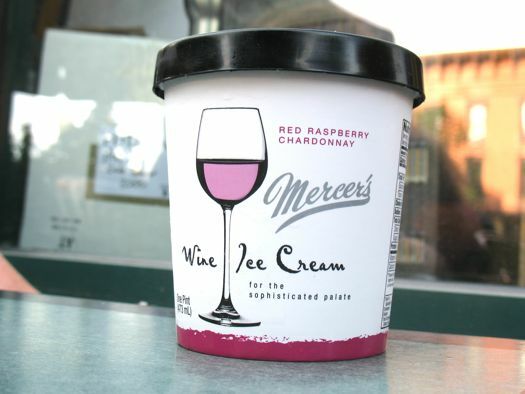 Wine ice creams, like this one, have been allowed to be sold for the past decade. Noted: Beer and hard cider ice creams are now legal to be sold in New York State. Ice cream made with wine is a food product manufactured in New York State that has been safely sold and regulated in a manner similar to confectionary that contains alcohol since 2008. This bill seeks to approve similar products made with beer and hard cider. As with wine, this bill would, limit the percentage of alcohol in ice cream to not more than 5% of alcohol by volume, prohibit its sale to persons under twenty-one years of age and require the same product labeling and warning statements similar to wine and confectionary that contains alcohol. 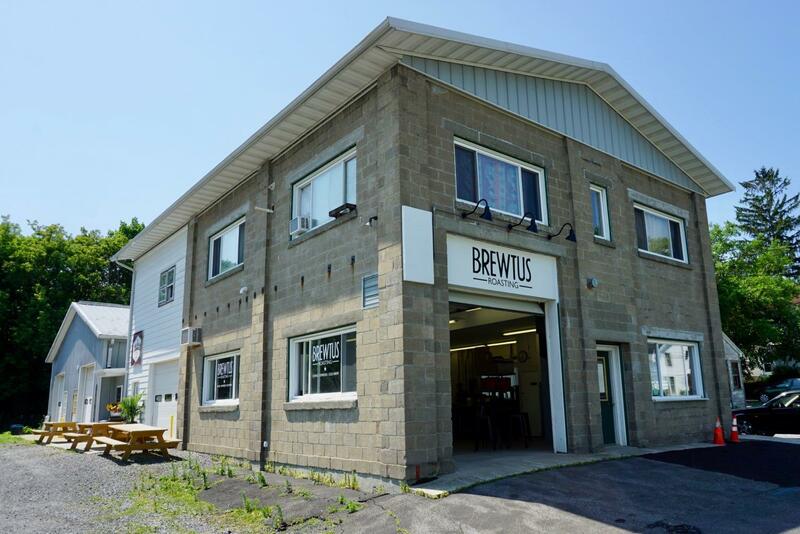 This bill will help New York dairy farmers, craft beer and cider producers, dairy processors and manufacturers, and food retailers and restaurants meet the increasing consumer demand for these new and innovative products. Five percent alcohol by volume is right around the alcohol content of many beers. To go along with the beer and hard cider ice cream bill, the governor also signed another bill this week that allows wine frozen desserts to be sold in packages of less than one pint. (The original intent of the minimum package size was an effort to keep the products away from kids.) From the bill memo: "The sale of wine ice cream was enacted into law in 2008. Since that time, the demand for smaller packaging for weddings, fundraisers, recreational tours and other events has increased. This bill would lift the minimum requirements that are currently in law to accommodate this demand for smaller packaging sizes." Both bills take effect immediately. At the corner of Morris and Knox next to a small neighborhood park stands a two-story brick building, its front bearing a worn coat of paint. 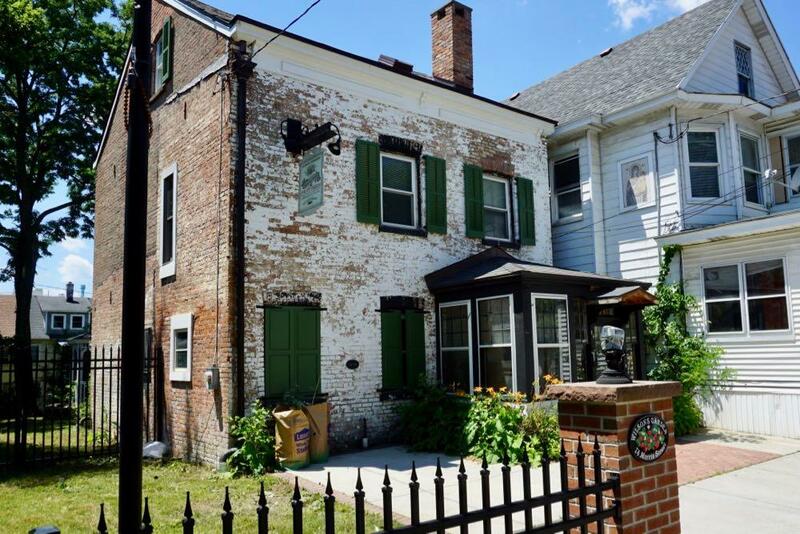 Built in 1838 in the Federal Style, it's the oldest still-standing building in Albany's Park South neighborhood. But maybe more notable than its age is the fact that home and the land around it played a vital role in the growth of the strawberry trade in the United States, helping to set off a "strawberry fever." 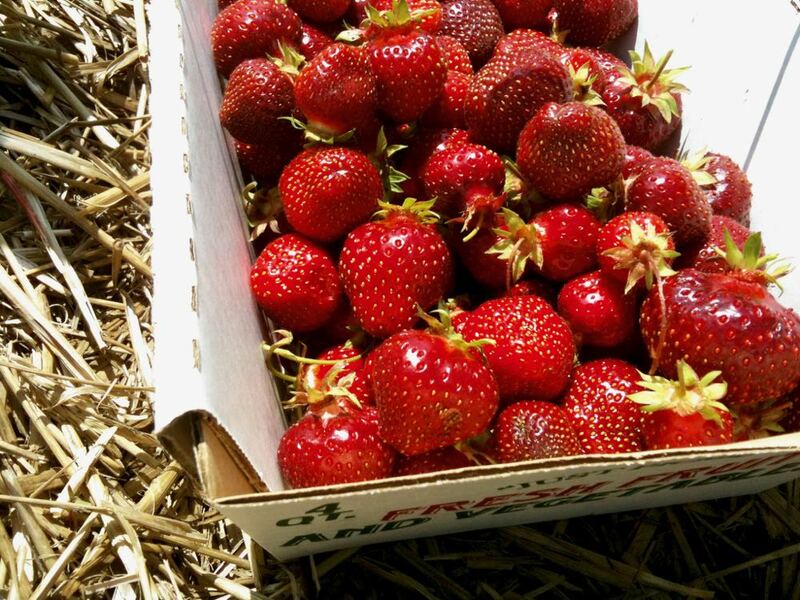 This is the story of 74 Morris Street and The Wilson's Albany strawberry. Take-along food ideas for Tanglewood? We're taking some friends from out of town to a show at Tanglewood this weekend on our way out to Boston. Our plan was to grab some takeout to bring with us to the show. I was wondering if any of your readers could recommend some good options, either local to us or to Tanglewood itself (Subway our last resort). Our usual smorgasbord of meats, cheeses, etc won't work this time since our final destination is a hotel (no fridge). We're coming from Albany and will have kids with us, but they shouldn't be overly limiting. So, got a suggestion or two for Sean? Please share! The South End Healthy Market opens its 2018 season Saturday, June 30 from 10 am to 3 pm at a new location, the the lawn of the Capital South Campus Center. Opening day will feature live music, kids activities, free Zumba and meditation classes, chair messages, and other activities. The market sells produce from local and community vendors. It accepts all federal food assistance benefit cards, as well as Healthy Market coupons. It's organized by AVillage, The Radix Center, and Trinity Alliance. If you're interested in being a vendor or volunteer: southendhealthymarket at gmail dot com. 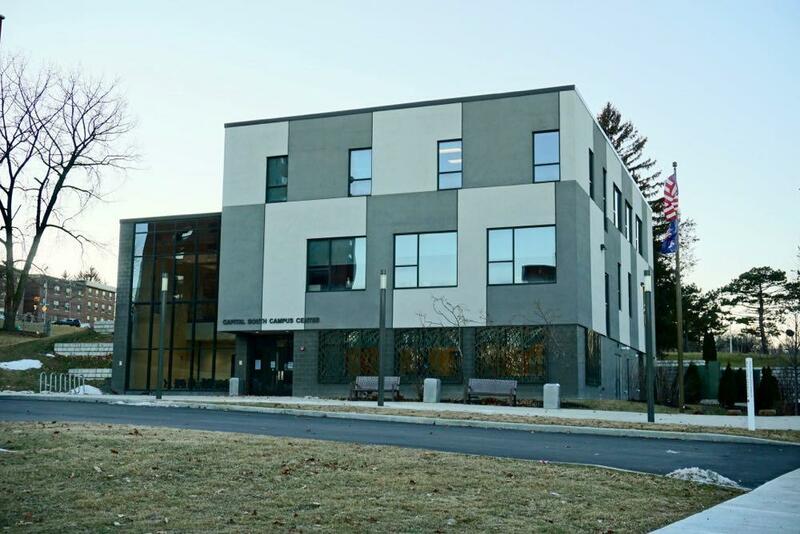 The Capital South Campus Center is at 20 Warren Street in Albany, on the eastern end of Lincoln Park. The cafe will be in the street-level corner space of the old Record building. The new board game cafe that's been in the works for downtown Troy -- Bard & Baker -- now has a location. 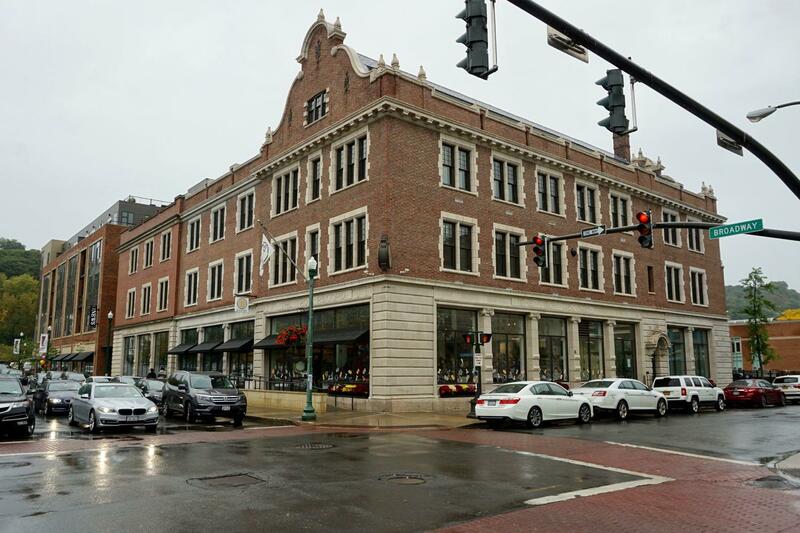 The developers behind the new News Apartments announced this week that Bard & Baker will be taking one of the retail spaces in the old Troy Record building at Broadway and 5th Ave. The cafe's owner is Charlotte Guyton, who was a key member of the team at Clark House Hospitality (Peck's Arcade, The Confectionery). And Bryan Connor, who was a pastry chef at Peck's Arcade, will be the cafe's kitchen manager. Guyton first publicly announced the plan for the cafe during last year's AOA Startup Grant content, in which she was finalist. Even though she didn't win, the judges were very impressed by both her and her methodical approach. And Guyton got a boost last month when she won a $1,500 grant in the business plan competition for the Capital Region Chamber's Entrepreneur Boot Camp. She's aiming to open in September.